Years ago, I was given Dad’s original Belgium made Browning rifle that can shoot slugs or shot depending on the barrel. As a child, dad took me bird hunting. I would act as the bird-dog. A pathetic one as it turns out, but these are the things of fond memories. It was on one of these outings that I drank my first cup of coffee, loaded with cream and sugar. I was instantly hooked on the flavor (it turns out Sanka was decaf). I had a friend take it apart and clean it. We moved to Idaho and it has sat in the closet ever since. Yesterday though, it found a new home on the wall in my office. Just another wonderful reminder of dear ol’dad. Observe the nice black and red HUSKY brand tool box in the picture below. Also not the medical crash kit and cardiovascular model on top. This is not the back room of some doctor’s office and it’s not my auto mechanic. 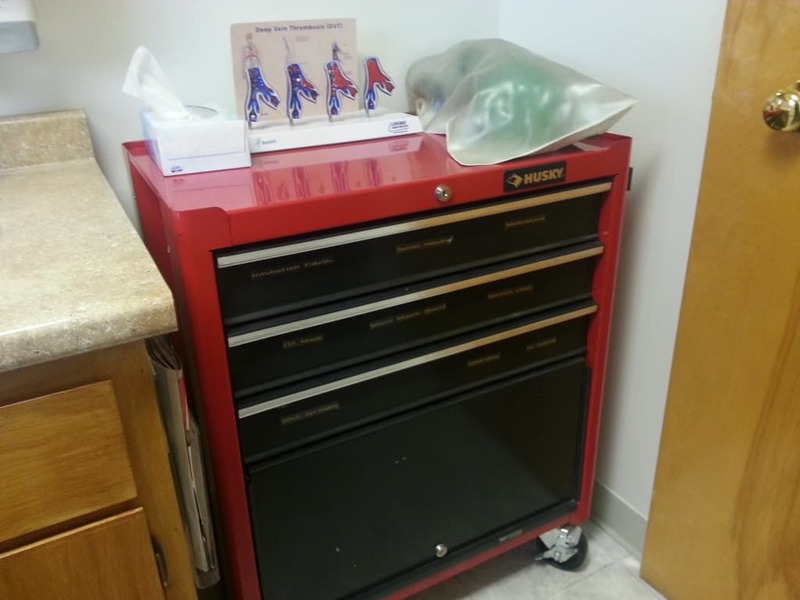 This is the regular doctor’s exam room and that tool box contains the tools of the trade for our doctor. If this box was painted white with a medical insignia on it, I’m betting it would cost $200 more. First snow in the mountains. I thought I’d mark this date on my blog as the first day snow fell on Little Black Tail this season. Melted by 10:AM but it’s coming. Eeeek! Gardening for the birds… literally. Here it is. 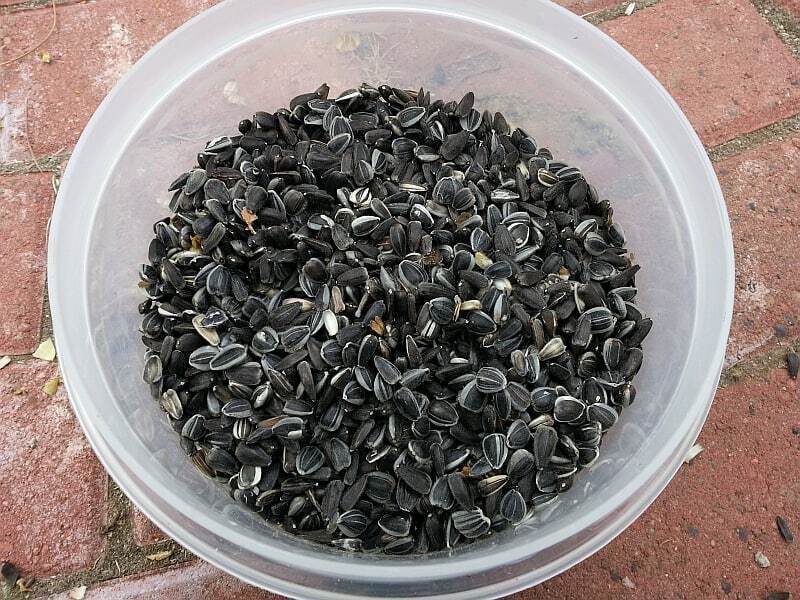 A bowl of fresh sunflower seeds harvested from our garden. We’ve planted them, nurtured them, and protected them from the deer. Well mostly. There was one day when I left the gate open only to catch on of them munching on a sunflower plant. Thankfully all she got was a taste. If you think that we’ll be eating seeds in front of the TV for the next month, you’d be wrong. We’ll put these in the bird feeder. This will supplement the 50 to 100 lbs of seed we feed to the birds every year. We grew the flowers more for their beauty than for the seeds. Sunflowers always look happy. You are currently browsing the RantFarm.com blog archives for October, 2012.